As my father tells in his narrative in Where Memories Meet — Reclaiming my father after Alzheimer’s, he was stationed at Fort Jackson, South Carolina, when he was first drafted into the army. While he was away from home serving in the US Military, he sent photographs back to my mother. 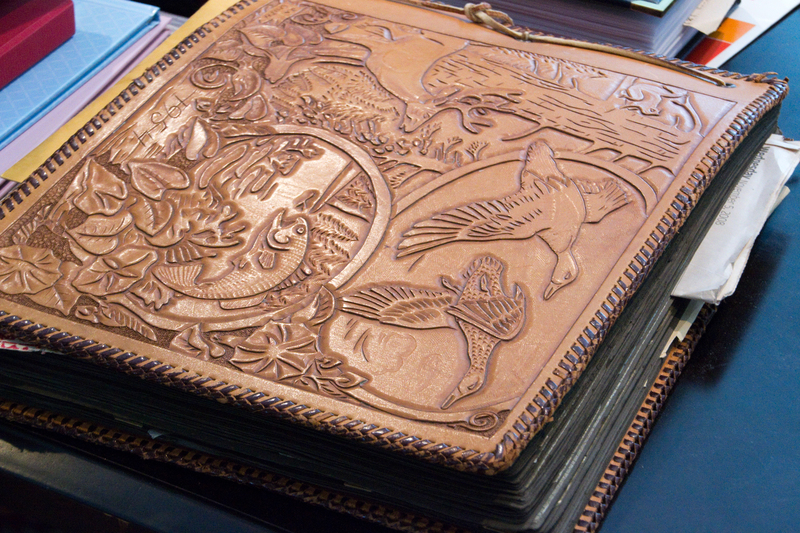 She inserted them into a leather photo album that Dad had hand-tooled and sent to her. 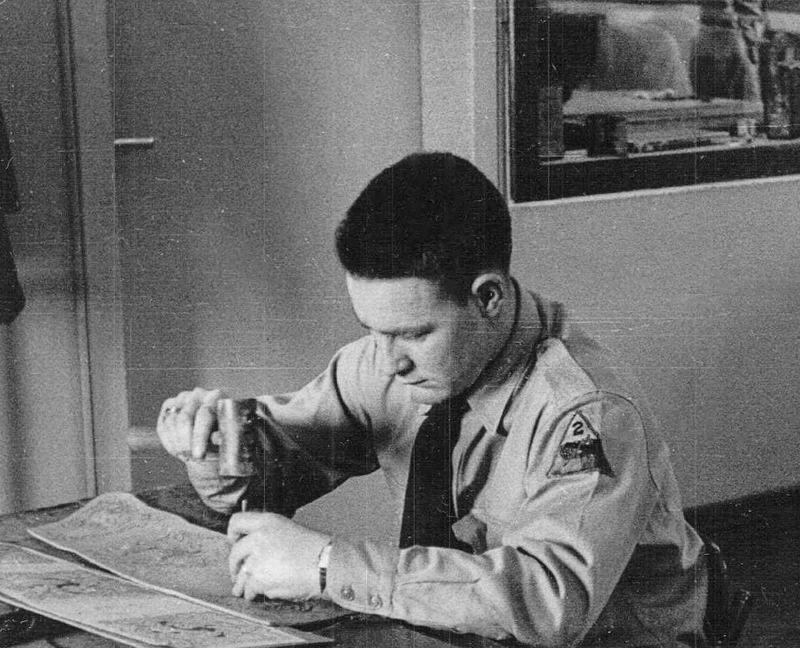 I’m not sure exactly when this photo was taken, or where, but it shows my father working on a leather purse to send home to my mother. Here are some photographs from Dad’s time in Columbia, South Carolina: at Fort Jackson, in town, and on a trip to Myrtle Beach. Mouse over a photo to see the caption Dad wrote on the back. Click on a photo to see a larger version, and a manual slideshow. “We sure had fun when this was taken.” Summer of 1953 at Fort Jackson, S.C.
“That statue sure does look big.” My mother on her visit to Fort Jackson to see my father. This entry was posted in Books, Where Memories Meet and tagged 1953, Army, Books, Columbia SC, Fort Jackson, Photos, Where Memories Meet on October 7, 2015 by CMSmith.